Back in college, I spent a couple weeks in the summer working as a civilian contractor for the National Guard in Wyoming. Like your average, stereotypical college age guy, I did a bunch of randomly dumb stuff during my short time there. I made mac and cheese in the hotel room coffee maker and I drank way too many energy drinks. At one point, I decided I needed to know what it would be like to pack Folgers instant coffee into my lip like tobacco. Spoiler alert, it’s awful. Don’t try it. That experience pretty much informed my opinion on instant coffee. So when the guys at Voila Coffee asked if I would try their specialty instant coffee, I was honestly super skeptical. How could instant coffee be good at all? In the 1960s, Nestle released Nescafe Gold, an instant coffee created using a new method: freeze-drying. This new method allowed manufacturers to lock in more of the flavorful solubles without adding stabilizing carbohydrates. The results produced coffees only slightly inferior to the standard mass produced pre-ground coffees, but with a significantly lower preparation time.Now, to me, that sounds all fine and dandy for people who enjoy mass produced pre-ground coffee. However, I felt pretty skeptical I could achieve the same level of flavor complexity that I love about specialty coffee. That’s exactly what Voila claims to be do for me. Take the flavorful experience of single origin specialty coffee and put it in the faster prep time package of instant coffee. Just add water and voila, delicious specialty coffee. To put this claim to the test, I boiled some water, put it in a carafe, and drove into the mountains. (Because where else would I try potentially delicious instant coffee?) Immediately as I opened the package, I noticed a wonderful aroma. Somehow these guys managed to trap the wonderful bouquet I usually experience during the bloom in this pouch. I dumped the powder into my mug and eyeballed 8oz of hot water. I forgot to bring a stirring device, so I picked up a stick and gave the concoction a little swirl, it just felt right. Then came the moment of truth. Now you’re probably asking yourself how this is even possible. I’ll tell you: black magic. Ok, that’s probably not true. Honestly though, I don’t know the process that goes into creating Voila, I just know that it works. So now that we know it's delicious, who should be buying this stuff? 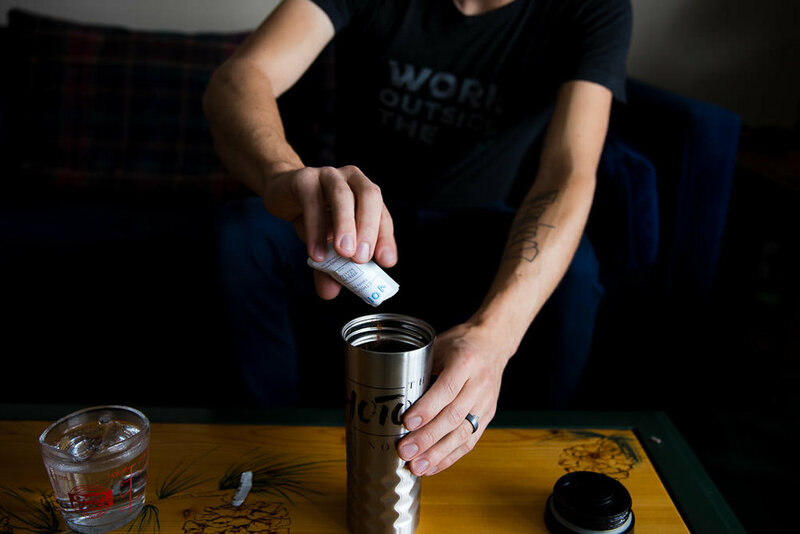 At roughly $3.50 per cup on average, Voila likely won’t replace your daily coffee habit. That price for 8oz or so places Voila basically in the same market as a specialty cafe pour over. 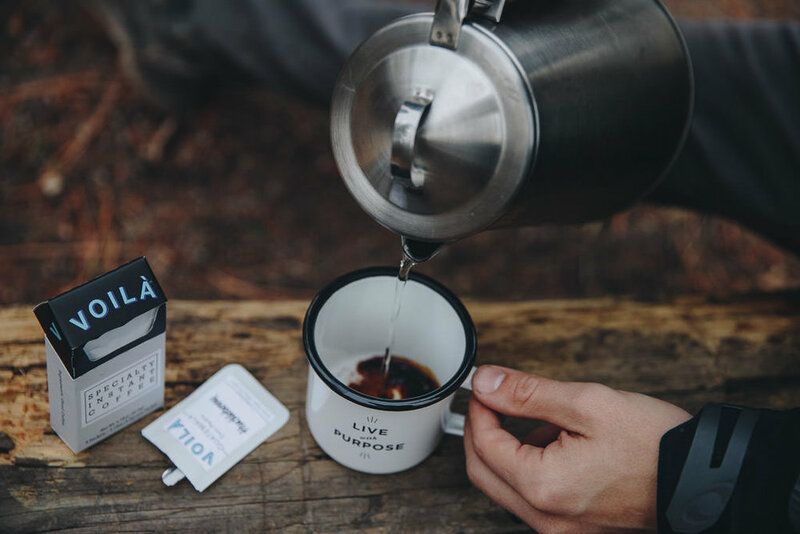 If you find yourself in a short term situation where you just want good coffee but you don’t have access to it, say while you’re camping or in a place without a solid cafe but you also can’t pack your brewing kit, bring along a couple packs of Voila! For those thinking they want to give replace their daily coffee habit, Voila offers a 30 cup a month subscription that brings the price down to $3 a cup. If that doesn't sound too bad to you and you'd like to streamline your morning cup of coffee, look no further. Not to mention, some research suggests instant coffee methods have a lower environmental impact than other methods. So for a bit more, you could contribute less. If you have any comments, questions, or thoughts about future content hit me up! You can leave a comment below, shoot me an email, or DM me on Instagram. I don't receive any thing for the links to Voila above. They did, however, send me the box above as a free sample in exchange for some pictures and my honest opinion.